Two of the greatest challenges in the career search process are gaining access to information and being able to connect with the decision makers at a particular company. Through the Enactus Career Marketplace, you can overcome both of these challenges. Learn about the history, culture and career paths offered by the companies, see open positions (often tailored to Enactus students/alumni) and directly connect with the right person within the company to take the next steps on your career journey. 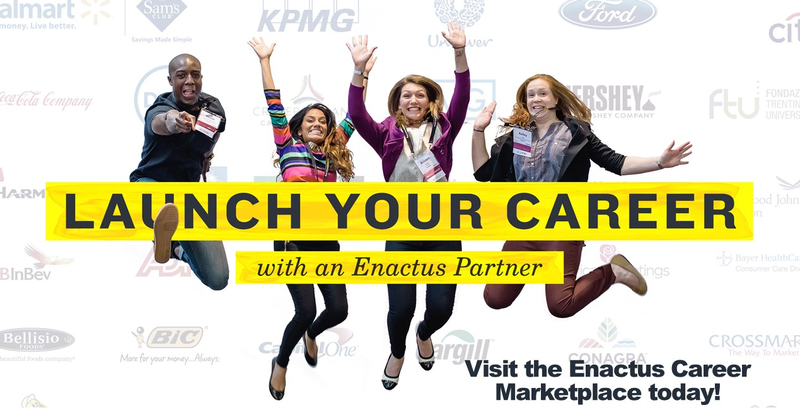 How to access the Enactus Career Marketplace: You must be a registered Enactus student or alumni. If you are already registered, click the button below to log in to the Enactus portal, click Career Marketplace at the top of the screen and log in with your Career Marketplace username and password.